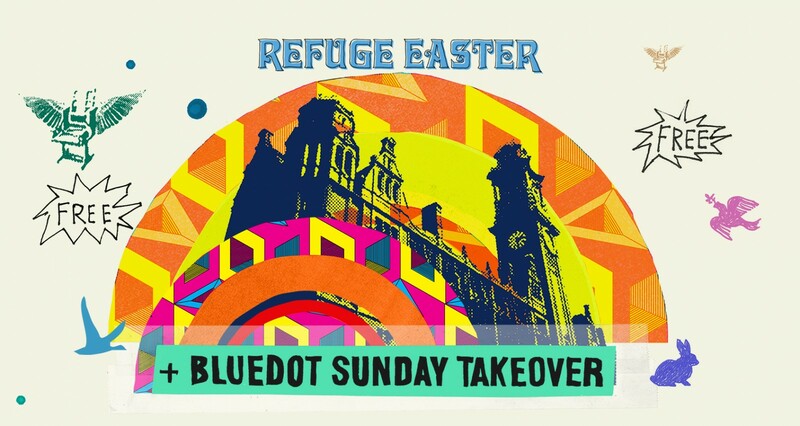 This year’s Easter Bank Holiday will be a weekend full of events, alongside a special collaboration with Bluedot Festival. Ease yourself into the long weekend from 5pm with Dr Sid Honey Cooler, a record collector of over 40 years who will take control of the Public Bar from 5pm until late. Taking listeners on a musical journey from the 20s to the 50s with a soundtrack of blues, swing, big band, original R&B, mambo, calypso and various oddities that are impossible to categorise. From 3pm onwards, our Basement will be host to a unique alliance of the life-blood of the UK’s music scene: the independent record shop. The basement Record Fair will be tour-de-force of wax, featuring Hi-Tackle – the city’s newest and most mysterious go-to record emporium – set up by Manchester’s finest collectors, Ruf Dug and Randy Brunso. Running alongside will be London’s hottest new shop, Ransom Note, as well as Manchester’s beloved Beatin Rhythm (the UK’s number one outlet for all the Northern Soul heads), plus Ono Tesla and Dave The Ruf. As a special treat for the passing seasoned digger, or merely the curious collector, there will be a one-off charity shop stall with all records priced at £1. Not your usual charity haul, this will be a selection of records kindly donated from esteemed selectors such as Mr Scruff, Unabombers, Paulette, Krysko, Justin Robertson, Jason Boardman, James Holroyd and many more, with all proceeds going to a local charity. The Evening Social on Friday night in the Basement will be hosted by Hi-Tackle featuring Ruf Dug, Randy Brunson and friends. Free entry. Saturday will begin on Waterhouse Way with an All Strala Yoga Class, hosted by the talented Lisa Stannard. The Den will be hosted by Overdrawn, an interactive drawing social featuring local artists, art battles, auctions and pop up shop. Saturday night will be a ticketed all night long takeover from A LOVE FROM OUTERSPACE, with Andrew Weatherall and Sean Johnson, who are back again following a stellar gig in 2017. To curate the final day of the weekender with families in mind, we’re partnering up with Bluedot Festival. Usually hosted at the stunning location of Jodrell Bank, Bluedot is the UK’s only festival of science, art and music, and since its inaugural event just two years ago, has quickly become one of the most eagerly anticipated festivals of the summer. Sunday Lunch sharing platters will be served from 12 noon till 9pm in The Dining Room with an extra special cosmic glitter gravy for children.